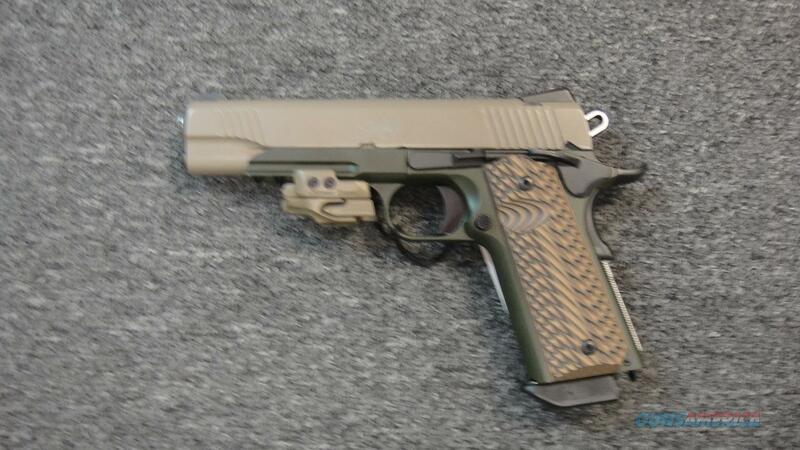 Description: This Kimber Warrior SOC is a semi-automatic pistol which fires the .45 ACP round. It has a 5" barrel and dark green finish. This includes 1 8-round magazine, Tactical Wedge tritium night sights, ambidextrous thumb safety, Desert Tan Crimson Trace Rail Master laser sight, G-10 tactical grips, hardcase, lock and manual.